Liquidation Sale- We are liquidating our current stock, therefore, what is listed is what we have available. 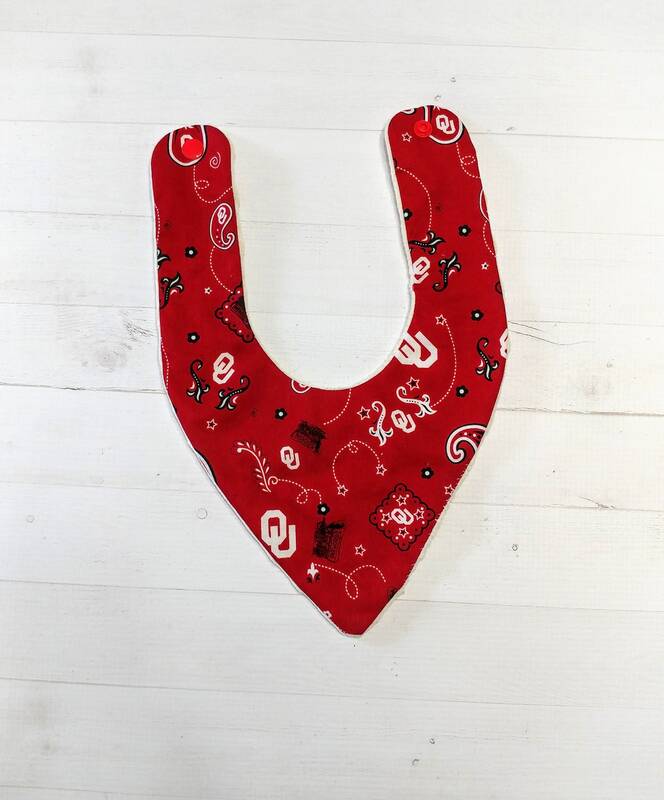 We are no longer offering color/ fabric changes or personalization. Item will come as pictured. 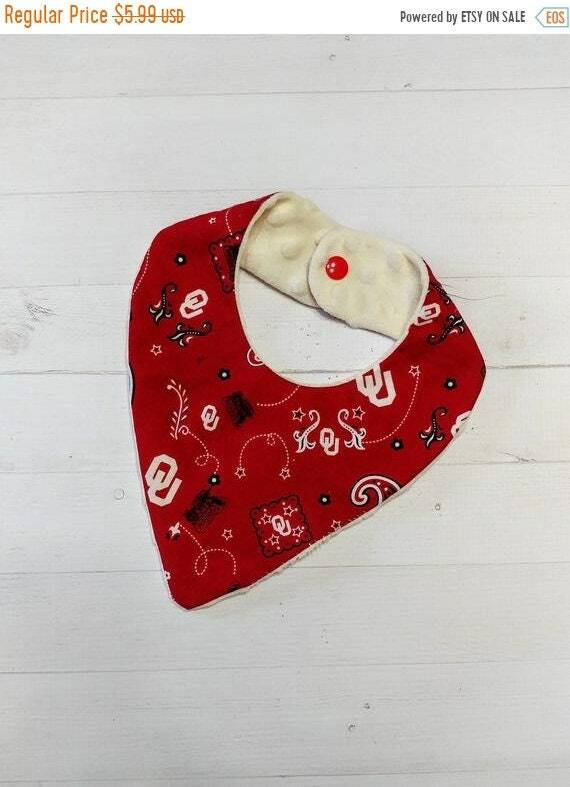 Adorable Bandana football themed baby bib. 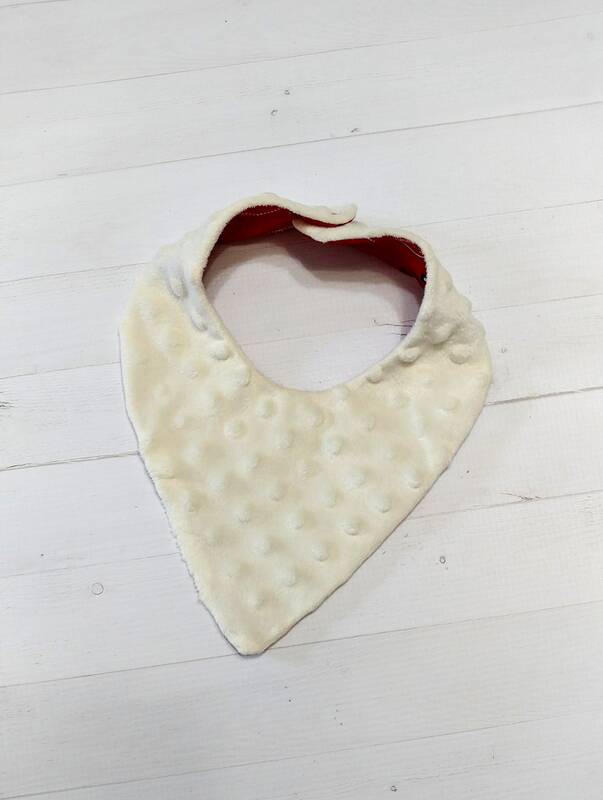 This bib is made of soft cream colored Minky fabric and crimson colored cotton fabric.